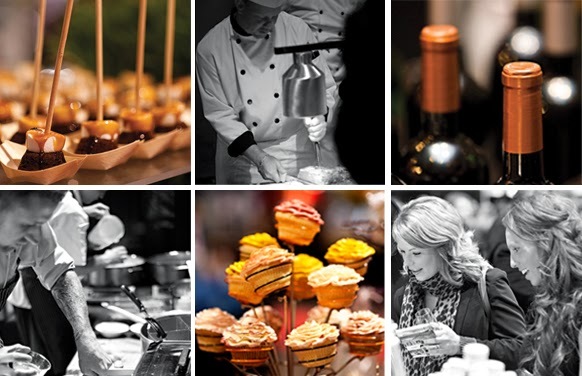 The Rocky Mountain Food and Wine Festival is back in Edmonton! And I have a pair of tickets to the coveted Saturday evening session (6 - 10 PM) to give away to one lucky commenter. Its easy to enter. Visit the Rocky Mountain Food and Wine Festival website here and come back and tell me what's the dish/ wine/ spirit that excites you most. I will pick a winner randomly on Wednesday evening at 5 PM. Trust me, this is one event you don't want to miss. If you comment as Anonymous, please leave your name and email address in your comment so I know who you are. Enjoy! The event is for adults only (18+), and no minors are allowed at any time. If you are the winner, please contact me asap, with your email address and full names. You will pick up your tickets from the Will Call booth. I want to try the Laughing Buddha Belly Bowl, that name is great. the Pulled Bison Brisket on Bannock Slider would be to die for I think! I'd love to try the Lobster Truffle Mac 'N Cheese - mmmm. I want to try the sushi tortilla from Japonais Bistro! I want to try the Alley Kat "Pumpkin Spiced Ale"